These poems were riveting and powerful. I was so happy to give this poetry collection a read. I first heard about this book when it was a nominee for a 2016 Goodreads choice award in the poetry category. 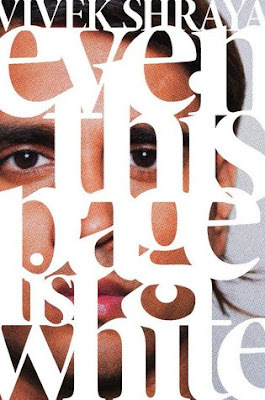 The title had me intrigued and the reading experience was so much more than I expected. 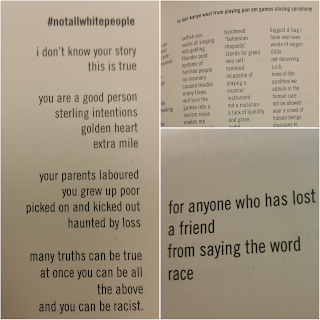 Not only does the author address racial issues, but the self-esteem issues that emerge in a society that does not value you the way that you are. Shraya is unafraid to be inspired by the world, and was able to craft a memorable collection that discusses truth and white supremacy. What's pictured is a very small sample of the creativity and topics that are discussed. 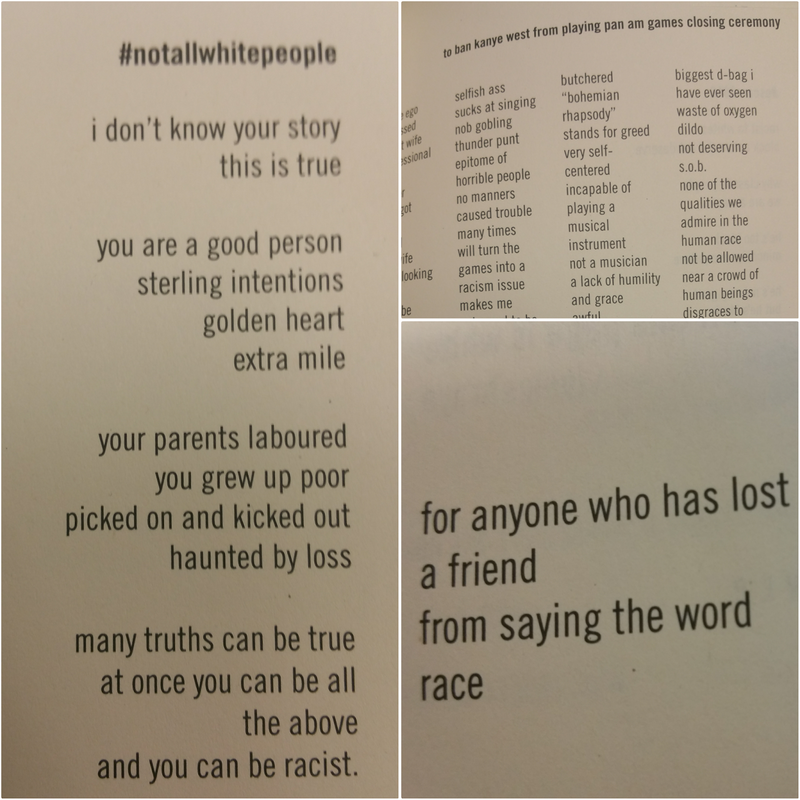 There is an extensive conversation that the author has with white people in the book, because "white people listen to white people". There is also a number of pieces that address gender constructs and discrimination. It was refreshing to see Shraya address these topics fearlessly and in a creative and memorable fashion. Every one should read this book not only to get into poetry but to expand their perspective and world view. Now more then ever we should celebrate difference and embrace the ugly truth about how our society deals with it. In addition to the poems included, you also get access to a wonderful single for purchasing the book. The acknowledgements section is a great place to discover other wonderful scholars and artists on race. You will not regret reading and learning from this art.